Aviad "Adi" Haramati, PhD, is Professor of Integrative Physiology in the Departments of Biochemistry, Molecular & Cellular Biology and Medicine at Georgetown University School of Medicine. Since 2013, he also serves as the Founding Director of the Center for Innovation and Leadership in Education (CENTILE). Dr. Haramati has taught physiology for over 35 years and received institutional and national awards for his research on kidney function and his teaching. More recently, Dr. Haramati has focused his efforts on rethinking how health professionals are trained, and he is interested in improving medical education across the globe, especially with regard to the intersection of science, mind-body medicine and professionalism. Dr. Haramati has been a visiting professor at over 60 medical schools. Dr. Mona M. Abaza is an Associate Professor in the Department of Otolaryngology at the University of Colorado Denver, School of Medicine. A board certified Otolaryngologist and Laryngology fellowship trained. She received her medical degree from The Women's Medical College of Pennsylvania (now Drexel University) She completed her Otolaryngology residency at the University of Texas Health Sciences Center. Thereafter, she completed her Laryngology fellowship training at Graduate Hospital and Jefferson Medical College in Philadelphia, PA. She maintains active interest in professional voice research as a peer-elected member of the International Association of Phonosurgeons, the American Bronch-esophagology Association, the Triological Society and the American Laryngologic Association. She has also been active in medical education, completing a Master of Science in Higher Education program at Drexel University in 2010. She is a member of the University of Colorado School of Medicine's Academy of Medical Educators and runs the Teaching Certificate Program. She has been the Residency Program Director for Otolaryngology since 2006. She is a governing council member of the Otolaryngology Program Director Organization and an Administrative Board member for the Council of Faculty and Academic Societies (CFAS) of the American Association of Medical Colleges (AAMC), where she chairs the Faculty Resilience Task Force. She is active in Women's Leadership in her specialty, as a founding member of the governing council of the section of her national academy, she is also the immediate past-chair of the section and co-founder of a yearlong leadership program. Project, and the development of new educational programs for the ACGME. Sian Cotton, PhD, is an Associate Professor in the Departments of Family and Community Medicine and Pediatrics at the University of Cincinnati's College of Medicine. She is the Founder and Director of UC's Center for Integrative Health and Wellness and UC Health Integrative Medicine. Dr. Cotton has received NIH and foundation funding to support her research which focuses primarily on mind-body interventions and integrative medicine practice-based research. Her research interests include complementary/integrative health and medicine, coping with chronic illness, pediatric and adolescent health, student and provider wellness, and religion/spirituality. As a clinical health psychologist, Dr. Cotton has worked with children, adolescents and adults with a variety of medical and psychiatric conditions, with a particular interest on the impact of medical conditions on psychological and social functioning and utilizing an integrative approach to care. Eve Ekman is currently a Post Doctoral Scholar at UCSF's Osher Center for Integrative Medicine. Ekman's research interests were inspired by her experience as a medical social worker in the emergency department of San Francisco General Hospital coupled with her training in the applied emotion regulation and mindfulness intervention: Cultivating Emotional Balance, CEB. At the Osher Center for Integrative medicine Eve continues to refine the conceptual frame work, research and training in the areas of meaning, empathy and burnout. Eve's research interests include technology assisted devices to promote emotion regulation and mindful awareness, developing dynamic measurement for empathy and assessing the downstream impact of provider empathy on quality of patient care. 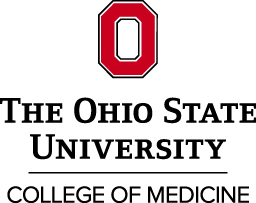 Maryanna Klatt, Ph.D. is an Associate Professor, in the College of Medicine at Ohio State University, Department of Family Medicine. Dr. Klatt's research focus has been to develop and evaluate feasible, cost-effective ways to reduce the risk of stress-related chronic illness, for both adults and children. Trained in Mindfulness and a certified yoga instructor through Yoga Alliance, she combines these two approaches in a unique approach to stress prevention/reduction. Her adult program, Mindfulness in Motion, is delivered at the worksite, and for cancer survivors, while the program for children, Move Into Learning is a classroom based intervention. Both programs combine yoga, mindfulness, and relaxing music. Specifically her research has shown that nurses working in a surgical intensive care unit reduced their stress by 40% (shown in their salivary amylase), university faculty and staff slept better, and bank employees significantly reduced their perceived stress, Cancer survivors and their caregivers became significantly more resilient, while inner- city 3rd graders significantly improved in hyperactivity and cognitive inattention- behaviors often related to stress. She has published several articles and book chapters, and has presented her work at national and international scientific conferences. Her stress reduction program is a fully covered benefit for faculty and staff at the University of Minnesota. Dr. Jon B. Klein is a Professor of Medicine in the Department of Medicine at the University of Louisville School of Medicine. He is the Vice-Dean for Research and Director of Wellness Programs. He received his medical degree from the University of Texas Medical Branch and completed his internal medicine residency at Kansas University Medical Center and his nephrology fellowship at the University of Louisville. He completed his doctorate in Immunology at the University of Louisville, as well. His research efforts have led him to found and direct the Clinical Proteomics Laboratory and receive the James Graham Brown Foundation Endowed Chair in Proteomics. He has been the Vice-Dean for Research at the University of Louisville since 2014. As Director of Wellness Programs he has implemented and taught Compassion Cultivation Training and Mind-Body Medicine courses. Mick Krasner, MD, FACP, Professor of Clinical Medicine at the University of Rochester School of Medicine and Dentistry, practices primary care internal medicine in Rochester, New York. Dr. Krasner has been teaching Mindfulness-Based Stress Reduction to patients, medical students, and health professionals for more than 14 years, involving nearly 1800 participants, including over 600 health professionals. He is engaged in a variety of research projects including the investigations of the effects of mindfulness practices on the immune system in the elderly, on chronic psoriasis, and on medical student stress and well-being. He was the project director of Mindful Communication: Bringing Intention, Attention, and Reflection to Clinical Practice, sponsored by the New York Chapter of the American College of Physicians and funded by the Physicians Foundation for Health Systems Excellence and reported in JAMA in September, 2009. He is very interested in the connection between health professional well-being and the effectiveness of the healing relationship. Dr. Krasner graduated from the University of California, San Diego School of Medicine in 1987 and completed his residency in both Internal Medicine and Pediatrics at the University of Rochester School of Medicine and Dentistry where he is currently a full-time faculty member engaged in direct patient care, medical student and residency education, post-graduate medical education, and research in the University’s Center for Mind-Body Research. He has shared his work in peer-reviewed publications, scientific assemblies, workshops, visiting professorships, workshops and retreats throughout the world, focusing primarily on the roots of Hippocratic medicine through the cultivation of attention, awareness, and reflection of the health professional-healing relationship. He describes his personal mission as centered on compassion in medicine- for the self and others, and envisions a personalized health professional-patient relationship where healing is truly bidirectional, care goals are mutually derived, and the uniqueness of the clinical encounter reflects this central act of mutual high regard. 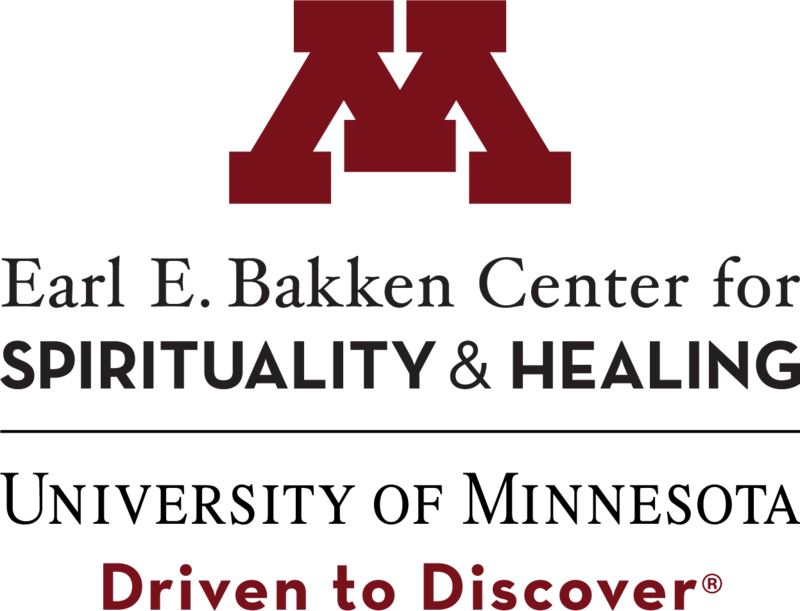 Mary Jo Kreitzer, PhD, RN, FAAN, the founder and director of the Center for Spirituality & Healing at the University of Minnesota, has more than 40 years of leadership and expertise in healthcare. In addition to her roles as nurse, teacher, healthcare administrator and researcher, she is also an internationally recognized pioneer and innovator in the field of integrative health and wellbeing. Dr. Kreitzer earned her doctoral degree in public health focused on health services research, policy and administration, and her master's and bachelor's degrees in nursing. In addition to her Center role, she is a tenured professor in the School of Nursing, and co-director of the doctorate in nursing practice (DNP) specialty in integrative health and healing, a joint program between the School and the Center. From 2004-2007, Dr. Kreitzer served as the vice-chair of the Consortium of Academic Health Centers for Integrative Medicine. In 2009, Dr. Kreitzer testified at a US Senate hearing titled "Integrative Health: Pathway to Health Reform" as well as the Institute of Medicine Summit titled "Integrative Medicine and the Health of the Public". In 2013, she received the Bravewell Distinguished Service Award from the Consortium. As a recognized leader in integrative health and wellbeing, Dr. Kreitzer regularly presents to practitioner and public audiences as well as at academic and healthcare conferences. She has authored over 100 publications and is the co-editor of Integrative Nursing published in 2014 by Oxford Press. Dr. Kreitzer also serves as co-editor-in-chief of Global Advances in Health and Medicine, an international journal focused on improving health and wellbeing worldwide. Michael’s interests include physician wellness, medical education, and public health and policy as it relates to health disparities, equity, and health system strengthening. Michael has played an active role in the Association of American Medical Colleges (AAMC) over the past six years through the Organization of Student Representatives (OSR) and Organization of Resident Representatives (ORR). He currently serves as a board member and resident representative to multiple AAMC committees. Additionally, he has had multiple unique experiences during his medical training working with state, national and international organizations such as the World Health Organization, Institute of Medicine and Delaware State Health and Social Services. Michael has been involved with various medical education and health equity projects, and most recently has been focused on provider and learner wellness which he has published on in journals such as Academic Medicine. Dr. Pipas is a Professor in Community and Family Medicine at Dartmouth’s School of Medicine. She has served as Assistant Dean, Vice Chair, Director of the Office of Community-Based Education and Research and Director of Dartmouth’s Regional Primary Care Center, a collaborative of 23 NCQA Patient-Centered Medical Homes. Recognitions include: Academy of Master Educators, Clinical Teacher of the Year, Humanism in Medicine and AOA Honors Societies. She completed an MPH at The Dartmouth Institute for Health Policy and Clinical Practice, directs Dartmouth’s Leadership and Public Health Curriculum. She has served as Faculty for the American Association of Medical Colleges (AAMC) National LEAD Certificate Program and teaches Applied Leadership for the Leadership Preventive Medicine Residency at Dartmouth Hitchcock Medical Center. She directs Experiential Leadership Development at Dartmouth Medical School and is the Co-Director of a new course Healthcare, Population Health and the Practicing Physician. She is Past President of the New Hampshire Academy of Science and serves on the Board of Directors for the Society of Teachers of Family Medicine, the Board of Trustees of Kimball Union Academy, and the AAMC Council of Faculty and Academic Societies. She teaches and partners with Health Care Providers globally and to achieve her vision of Healthy Individuals Contributing to Healthy Communities. Her Areas of Interest, Experience and Consulting Expertise are Health and Wellness at the Individual, Public Health and Population Level. She teaches and speaks on personal wellness and improvement strategies to achieve “The Quadruple Aim” with focus on performance training that minimizes burnout and promotes resilience. Dr. Reese is an Associate Professor of Clinical Pediatrics, Section of Pediatric Hospital Medicine at the University Of Colorado School Of Medicine. She is the Interim Section Head and Medical Director of the Section of Pediatric Hospital Medicine. She also serves as the Inpatient Medical Director for Children’s Hospital Colorado. Her clinical time is spent as a pediatric hospitalist, and her administrative duties include quality and process improvement and clinical leadership, as well as developing and promoting programs that support wellness and resilience for health care providers. In 2015 Dr. Reese formed the University Of Colorado School Of Medicine Resilience Program for Faculty, Residents and Fellows, and she serves as the director of this program. Her undergraduate and medical school was completed at University of Washington, in Seattle, WA and her pediatric internship and residency were completed at the University Of Colorado School Of Medicine and Children’s Hospital Colorado. Since finishing residency, she has worked at Children's Hospital Colorado. Her passions include being a mother to her two sons; and running, cycling, golfing, cooking and traveling. Dr. Pamela A. Saunders is an Associate Professor in the Departments of Neurology and Psychiatry. With a doctorate in sociolinguistics from Georgetown University, her research focuses on language, aging, doctor/patient communication, narrative and reflective writing. She has spent the last 20 years conducting research and teaching. Her research program includes funding from the Alzheimer’s Association, National Institute on Aging, Hartford Foundation, and the FDA. She serves in several leadership roles related to the medical education including the Chief Course Director of the Doctoring Curriculum and co-clerkship director of the Geriatrics clerkship. She is a long-standing member of the Committee on Medical Education and also serves on the Committee on Appointments and Promotions. She co-founded, the geriatrics curriculum in 2000 for the undergraduate medical students at GUSOM with funding from the Hartford Foundation. In addition, she teaches reflective writing and Mind Body Medicine skills to medical and graduate students. Her publications cover topics such as reflective writing, self-awareness, mind body medicine, doctor/patient communication, a well as language and dementia. Stuart Slavin, M.D., M.Ed. is Associate Dean for Curriculum and Professor of Pediatrics at Saint Louis University School of Medicine. A graduate of Saint Louis University School of Medicine, Dr. Slavin completed his residency training in pediatrics at UCLA and then served as a faculty member there for 17 years before returning to St. Louis in 2004. In addition to his administrative duties at Saint Louis University, Dr. Slavin teaches actively in the undergraduate medical curriculum and serves as director of the Applied Clinical Skills series of courses. He has led significant efforts to improve the mental health and well-being of medical students at SLU and has recently expanded his work to residents, college students, and high school students. Dr. Slavin has given workshops and presentations at regional and national medical education meetings as well as at medical schools across the US and internationally. He has received numerous education and teaching awards including the Alpha Omega Alpha Robert J. Glaser Distinguished Teacher Award in 2013. Ms. Smith, a public health researcher and health and wellness coach, teaches behavior change, motivational interviewing and meditation in the Health and Wellness Coaching and Health Promotion Departments at Maryland University of Integrative Health (MUIH). She facilitates mind-body and meditation course(s) for medical and graduate level students at Georgetown University School of Medicine and George Washington University and is Senior Trainer for MINDS (Mindfulness in DC Area Schools), bringing mindfulness into public and private schools in Washington, D.C., MD, And VA. She has taught mindfulness and other mind-body skills to multiple populations, including children, medical students, physicians, nurses, adults, Native Americans, members of the military, corporate executives, and Members of Congress and their staff. Ms. Smith received her Masters of Public Health (MPH) from the University of Michigan and has a Bachelor of Science in psychology from Duke University. Her MPH focused on program development, program evaluation, and quantitative/qualitative research methods, as well as complementary and alternative medicine (CAM). Ms. Smith has over 20 years of experience developing, implementing, and evaluating health-related programs and services. For the last 10 years, Ms. Smith served as Senior Consultant and Program Manager at the Samueli Institute where she developed and evaluated programs that contribute to human flourishing. Prior, she was Director, Stress Management Services & Cardiovascular Executive Health Program at the University of Michigan (U-M) Preventive Cardiology clinic. In that role, she managed mind-body focused stress reduction services for all patients and families in the heart clinic and led a patient-centered program to prevent heart disease among professionals and executives. Before her work at Preventive Cardiology, Ms. Smith was at the University of Michigan (U-M) Complementary and Alternative Medicine Research Center (CAMRC), a National Institutes of Health (NIH)-funded research center, where she led and evaluated mind-body skills programs for faculty and medical and allied health students. She also developed CAM-related education curricula for the U-M Medical School. Hedy S. Wald, PhD is Clinical Associate Professor of Family Medicine at the Warren Alpert Medical School of Brown University where she oversees the reflective writing curriculum in the Family Medicine Clerkship and provides academic consultation. She served as a Fulbright Scholar in medical education for the Ben Gurion University of Health Sciences Faculty of Medicine in Israel and is a Gold Humanism Foundation Harvard-Macy Scholar. She conducts interprofessional faculty development workshops internationally on using interactive reflective writing to foster reflective capacity and support professional identity formation in health care professions education and has published widely on this. Her creative writing, reviews, and poetry have appeared in literary and medical journals and excerpted in the NY Times. She is a Guest Editor at Academic Medicine for a special issue on Professional Identity Formation in health care professions education. Fostering resiliency and preventing burnout in health care practitioners and health care professions students with synergistic mind-body medicine and reflective writing-enhanced reflection is a current research interest. Dr. Peggy A. Weissinger has worked in higher education since 1990. She currently serves as the Associate Director of the Center for Innovation and Leadership in Education (CENTILE) at Georgetown University Medical Center and is the newly appointed inaugural director of the GUMC Teaching Academy for the Health Sciences. She additionally serves as an Associate Dean for Educational Scholarship at Georgetown University School of Medicine; Co-Director of the Office of Educational Scholarship, Co-Director of the Medical Education Research Scholar Track, and an Assistant Professor in the Department of Family Medicine. She facilitates workshops for the Teachers of Critical Languages Program, a collaboration of the American Councils for International Education and the Department of State and is an associate with Dee Fink and Associates who offer workshops on Designing Courses for Significant Learning. Previous positions include Associate Dean for Assessment at Georgetown University School of Medicine; adjunct assistant professor in the Department of Educational Leadership at The George Washington University; and director of the Extended Learning Institute Distance Learning Center at Northern Virginia Community College. Dr. Weissinger earned her doctorate in Higher Education Administration with a minor in Instructional Systems Technology at Indiana University; an MBA from Georgetown University; a masters degree in Education from DePauw University; and a bachelor of arts degree from Purdue University. Eric serves as senior director of faculty and academic society engagement for the Washington-based Association of American Medical Colleges (AAMC). In this role, Eric manages the day-to-day operations of the Council of Faculty and Academic Societies, or CFAS, one of the AAMC’s three governing bodies. CFAS represents the interests of medical school faculty and academic societies within the AAMC’s membership. Among key issues covered are faculty wellbeing and resilience, advancement of science and research within academic medicine, graduate medical education, faculty definition and identity, and the role and impact of medical school faculty within clinical, research, and educational settings. Eric is also the principal writer and editor of the weekly “CFAS News” publication, which goes to nearly 5,000 subscribers representing leaders in academic medicine. Eric previously served for a decade as senior director of publishing services in the Communication cluster at the AAMC, overseeing the AAMC website, its creative and editorial services division, and its publishing efforts. Eric additionally has a long history in science and medical communications, having held an array of leadership positions at organizations such as Stanford School of Medicine, Veterinary Centers of America, WebMD, and others focused on consumer health, medicine, and science. Eric also has worked as a writer and editor for Congressional Quarterly and Time Life Books. 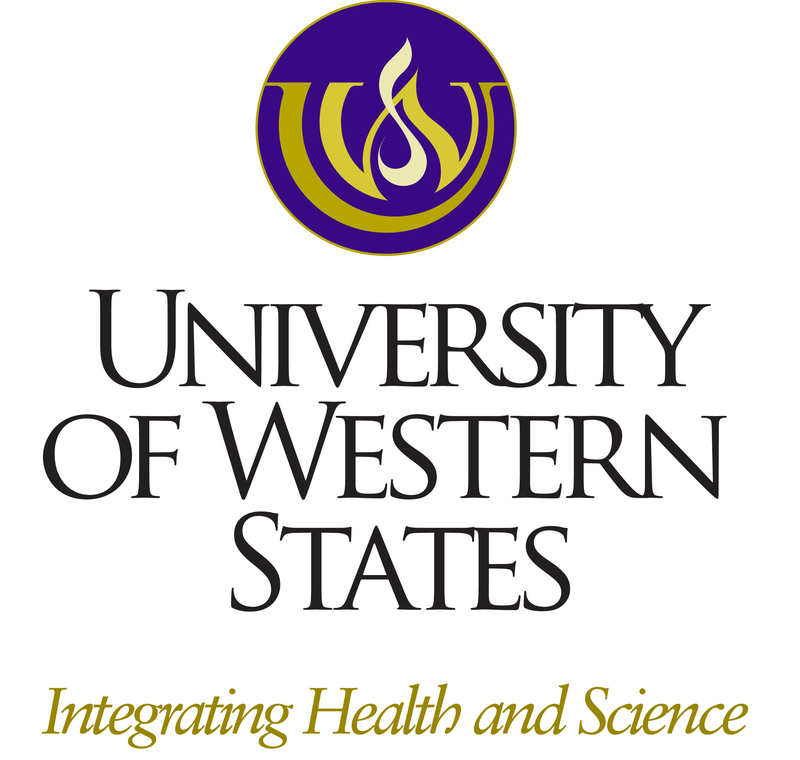 Originally from Seattle, Dr. West received his M.D. and Ph.D. in Biostatistics from the University of Iowa in 1999. He completed residency and chief residency in internal medicine at Mayo Clinic, and joined the faculty in General Internal Medicine in 2004. He is currently Professor of Medicine, Medical Education, and Biostatistics at Mayo. He directs the evidence-based medicine curriculum for the medical school, and is an Associate Program Director within the internal medicine residency program. He is also the Research Chair of General Internal Medicine. Dr. West's research has focused on medical education and physician well-being, and he is Co-Director of the Mayo Clinic Program on Physician Well-Being. Working closely with Tait Shanafelt and Lotte Dyrbye, his work documenting the epidemiology and consequences of physician distress, as well as emerging research on solutions, has been widely published in prominent journals including Lancet, JAMA, Annals of Internal Medicine, and JAMA Internal Medicine.